The law office of Brian D. Westrom specializes in representing clients of personal injury and workers compensation cases. Our office in Chapel Hill, NC offers experienced council with a proven track record of results in helping those injured at no fault of their own. Orange County is located in the central part of North Carolina and the county seat is Hillsborough. The University of North Carolina, Chapel Hill is located in Orange County. Two of the most frequent causes of personal injuries are automobile accidents and workplace injuries. Motor vehicle accidents can include automobile, motorcycle, truck, pedestrian, bicycle and car accidents. 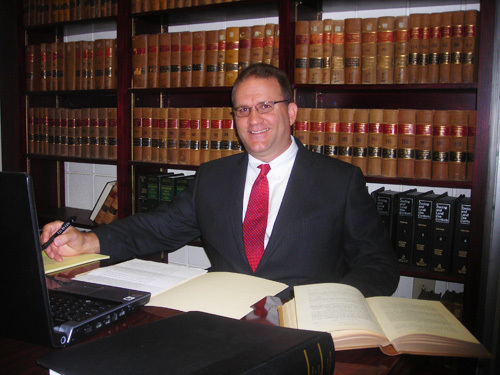 Attorney Brian Westrom is an experienced personal injury attorney serving victims of automobile accidents in Hillsborough, NC and the surrounding communities. If you have suffered a workplace injury or developed a heath issue due to your job, workers compensation could help in the recovery of lost wages, medical fees and cost of rehabilitation. So if you have been injured at work, seriously disabled or developed a health problem, workers compensation attorney Brian Westrom understands the law and will diligently work to obtain the maximum settlement for your workers compensation claim. Automobile accidents can happen to you even when you are a careful driver. Careless and dangerous driving of other may cause an accident and the need to seek the advice of an accident attorney. Orange County accident lawyer Brian Westrom can guide you through your legal options in concern to any accident injuries, medical costs, uninsured driver issues and dealing with insurance companies. Motorcycle accidents can be some of the most serious vehicle accidents due to the reduced protection of the motorcycle driver. Motorcyclists can sustain debilitating injuries, possible disabilities and the higher risk for loss of life. Experienced motorcycle accident attorney Brian Westrom can make hospital and home visits and offers a no obligation initial meeting to discuss your case. If you have been seriously injured in a motorcycle accident let us pursue your claim. Tractor-trailer accidents can cause devastating damage to automobiles and their passengers. Semi-truck and 18 wheelers can be overloaded and carry hazardous loads that could increase the extent of damage or injury involved with the accident. Driver fatigue and aggressive driving are some of the causes of tractor-trailer accidents and make driving more dangerous for all vehicles on the roadway. North Carolina law allow victims of truck accidents the right to seek compensation for damages and injuries from the responsible driver. Bicycle riders can sustain substantial injuries due to accidents with motor vehicles. Bicyclists rely on drivers to be aware and share the road for their safety. Unfortunately, some drivers can be distracted and allow accidents involving bicyclists to occur. Pedestrian accidents with motor vehicles can occur when drivers are distracted or not aware of pedestrians walking or jogging in their vicinity. Drivers may not yield or stop at posted intersections and place pedestrians in dangerous circumstances. Injuries that involve motor vehicles and pedestrians can be severe with long-term repercussions. A pedestrian injury attorney can help in dealing with the insurance companies and seeking fair compensation for your injuries. If you have been injured at work or have a health issue directly related to your job then you may need a workers compensation attorney to represent you. Your injuries may cause lost wages, medical fees and create the need for rehabilitative services. Workers compensation attorney Brian Westrom will work diligently to reach a fair and complete settlement for your injuries and allow you to concentrate on getting better. The Law Office of Brian D. Westrom serves Chapel Hill NC in Orange County and the surrounding Counties of Wake, Johnston, Chatham, Franklin, Durham, Alamance, Guilford and Forsyth.